Home > Ask Our Experts > How do I get out of my Shared Lease? My son signed a new lease for his shared flat approximately 4 weeks ago. After signing the lease he then lost his job and has been unable to find employment in that area; however he has come home and found employment in this area. Is there any way he can get out of the lease? The shared lease contract is a legally binding document and as such there will be a list of terms and conditions included. These should be read very carefully as there will be clauses regarding ending a lease early and the notice needed to end the lease. 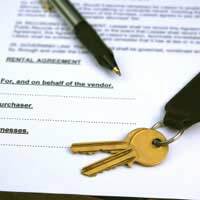 Having an understanding landlord will be beneficial if you want to end a lease early. They may allow early release if your son can find someone who will take over the room before he moves out. Alternatively if you give two months notice instead of one month this will give the landlord time to find another tenant. The feasibility of these options will of course depend on your landlord. The terms and conditions of the lease contract should give some idea of your son’s rights in this matter. There may be clauses that state your son will have to guarantee the new tenant’s rent if he was the one who found the new tenant. Your son may not have to guarantee the rent if the new tenant provides a large deposit or has equal financial means as your son. There may also be clauses in the lease that contain information on breaking the lease early. If your landlord is less than understanding about the situation and your son still decides to leave then the landlord can apply fees. A number of lease agreements will have clauses that state how many months a landlord can charge if the lease is to be broken early. The landlord may only apply these charges until he or she has found another tenant. The landlord may also apply some administration fees if you decided to end the lease earlier. Another way to legally break a lease is to find something wrong with the actual flat. This may take the form of certain promises that were made in the lease for repairs needed to the flat or promised facilities that were never provided. This route of breaking a lease is never certain and legal advice should be taken. A casual conversation with the landlord over repairs will not usually stand up in court; the promised repairs details should be included in the lease contract. For more advice on ending tenancy leases early including legal information contact the Citizens Advice Bureau.